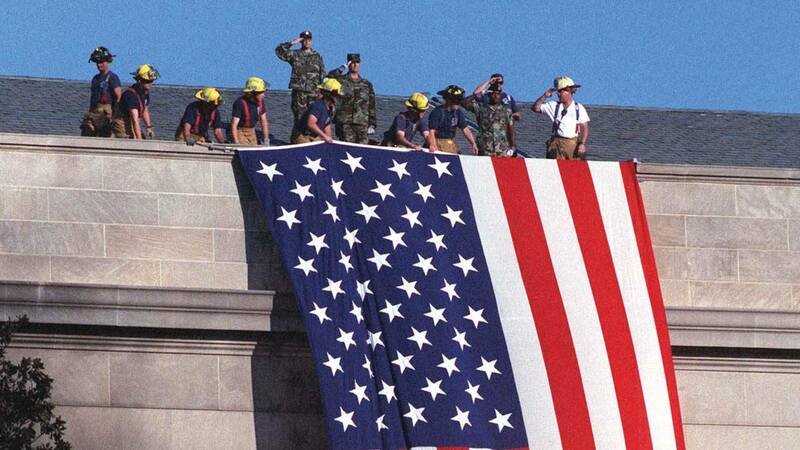 ARLINGTON, VA; JUNE 23, 2016 -- As America marks the 15th anniversary of the September 11, 2001, terrorist attacks on the U.S., PBS will broadcast a new documentary, 9/11 INSIDE THE PENTAGON. This film reveals new, first-hand accounts of the attack that took place at the heart of the US’ military headquarters – an attack in which 184 people from inside the building and on board American Airlines flight 77 perished. The one-hour film will air Tuesday, September 6, 2016, at 8 - 9PM on WMHT-TV. Unlike those in New York City who were completely taken by surprise, those in Washington, DC, followed the news coming out of New York and realized that unaccounted-for flights still in the air would likely target significant, symbolic and strategic sites in the nation’s capital—including the Pentagon. Among those interviewed in the film are those who experienced the attack first-hand: Steve Carter, assistant building operations manager at the Pentagon; first responders Mike Regan, Alan Wallace and Ed Hannon; Pentagon personnel Captain William J. Toti (U.S. Navy, retired) and Marilyn Wills (US Army, retired); air traffic controller Colin Scoggins; structural engineer Leo Titus; and Washington Post reporter Steve Vogel. 9/11 INSIDE THE PENTAGON is a production of Lone Wolf Media and produced by Kirk Wolfinger. WCVE PBS in Richmond, Virginia is the presenting public television station.